Your home heating and cooling system is essential for your family’s comfort. At Peninsula, our customers’ comfort is our top priority! That’s why we install, replace, and maintain Carrier zoned heating systems in homes throughout Maryland and Delaware. There are many brands of HVAC products out there, but we truly feel you’re getting the best with a Carrier zoned system. 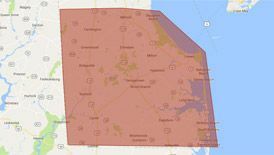 Ready to install a Carrier zoned system in your Delaware or Maryland home? Contact Peninsula online or give us a call at 302-629-3001 to schedule service today! What Is a Carrier Factory Authorized Dealer? Carrier is a company with a long history of quality and service, and we’re pleased to work with them as a Carrier Factory Authorized Dealer. The company is a world leader in environmental responsibility and has been influential in the phasing out of ozone-depleting refrigerants. Carrier HVAC products are manufactured using the latest technology and the best materials, leading to effectiveness and energy efficiency. Whether your home is big, small, or somewhere in between, Carrier offers heating and cooling systems to keep it comfortable. 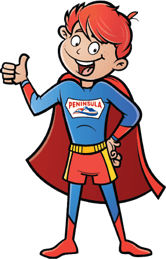 Peninsula’s team has been certified by Carrier, so we are experts when it comes to installing and maintaining their products. A traditional HVAC system heats or cools your entire home at once. Even if one particular room is already a comfortable temperature, it will still be heated further when the heat turns on to warm up the rest of the home. This can lead to uneven temperatures throughout the home. Carrier’s zoned systems work differently. Essentially, your home is divided into sections, or zones. The temperature of each zone is independently regulated. If one zone gets too cool but the others are up to temperature, only the one zone will be heated. You can also set different temperatures for different zones. For example, you can keep your bedrooms at 72 degrees and your living room at 68 degrees if you wish to save energy. In most cases, a traditional heating system can be modified to incorporate zoned heating. Dampers are installed in the ducts, and they open and close to re-direct the flow of air to the zones where it is needed. Separate sensors placed in each zone detect changes in air temperature. Why Should You Consider Carrier Zoned Systems? A Carrier zoned heating and cooling system is a great option for maximizing energy efficiency and comfort in your Maryland or Delaware home. You don’t have to worry about certain rooms overheating while others remain chilly. Your home will maintain a consistent, even temperature. If there are areas like spare bedrooms or a garage that you don’t need to keep as warm, you can set the temperatures of these zones lower rather than wasting energy to keep them as warm as the rest of your home. Because Carrier zoned systems save energy, they’re a good choice for your wallet and for the planet. Your carbon footprint will decrease, and you won’t experience sticker shock when the fuel bill arrives. The interfaces are easy to operate, and Peninsula’s technicians will ensure you know just how to use them. If you’re interested in a Carrier zoned system for your Maryland or Delaware home, contact Peninsula today. We can evaluate your home and your needs to confirm that zoned heating is a good choice for you. Then, we’ll put our expertise to good use, ensuring that your system is properly installed for the best operation. Regularly scheduled maintenance should keep your system running smoothly for years to come, and if you ever experience any problems, our technicians are just a phone call away. Contact Peninsula online or give us a call at 302-626-8254 to set up your appointment or learn more about Carrier zoned heating and cooling systems!